HD 1280*960P video recorder; Max support 32GB (SD card not included). 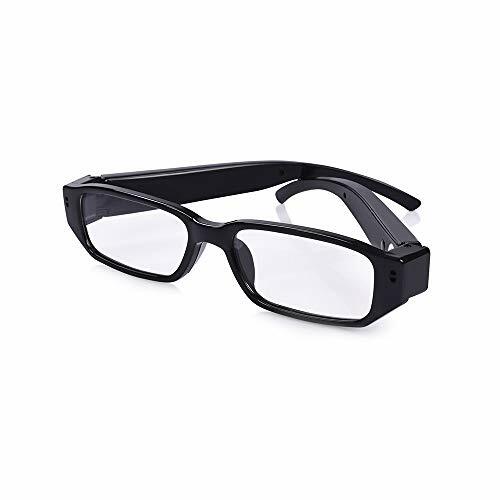 With this spectacles, you can easily record playback notes or meeting notes (jobs or work tasks can be successfully completed). RESET: if something does not work, it is recommended to try to reset the button for 5 seconds before restarting. 【EASY TO USE】 Power on: Short press the function button until the blue light is on; Photographing: Short press the function button once after power on, the blue light flashes once to show that the photo was successful and saved. Video: long press the function button after the power on until the blue light flashes three times and then extinguishes, indicating that the video recording starts; In order to save power, the camera will automatically shut down if it is not in operation for a long time. If you have any questions about this product by YAOAWE, contact us by completing and submitting the form below. If you are looking for a specif part number, please include it with your message.